The House Girl by Tara Conklin is told mainly from two female points of view — Lina Sparrow and Josephine Bell — one is a white lawyer in New York City at a corporate law firm and the other is a slave/house girl in the southern Lynnhurst, Virginia. Lina has lived with her artistic father most of her life as her artistic mother’s life was cut short. Her story is compelling as she’s chosen the analytical and detached life of a lawyer over that of the emotional and less practical life of an artist. Josephine, an equally if not more compelling story, is a slave on a tobacco farm caring for her dying mistress, who tries to sketch and paint in her upstairs studio. Lina is a first-year associate at her law firm, and she works a mad number of hours as she tries to impress her boss and mentor, Dan, but at the same time, she seems to be beating her head against a wall. There are some tenuous connections drawn between these two stories, the oppressive nature of working for a law firm and slavery, which may or may not be a fair comparison. The narrative shifts from Josephine to Lina and between the past and present, and once Lina becomes involved with a slavery reparations case, she is wrapped up in innocuous research while all of her other cases are re-assigned. She’s struggling with her role on the case, but also with the revelations about her mother and her father that have set her world askew. In the latter part of the novel, Lina comes across a biography of an abolitionist as she’s researching the life of Josephine Bell, but this section is overly long and could have been slimmed down a bit as Lina learns about the abolitionist’s connection to the Underground Railroad. The strength of the novel is in Josephine’s story and her struggles with the Bell family, with her only release — the snatches of time she has to sketch and paint when her mistress is laid up in bed or asleep. The mysterious life of Josephine is revealed in quick chapters, but early on these chapters are too focused on her desire to run and whether she should run. In many ways, Lina’s story detracts from the whole, pulling readers into the present and into a case that seems more fantasy than reality. However, Lina’s story with her father and mother — and the art world — is strong and could have been explored in a separate novel. The artistic connection, more than the slavery reparations case, would have been a better angle for these stories, connecting the artists to one another through their craft and inspiration or something of that nature. 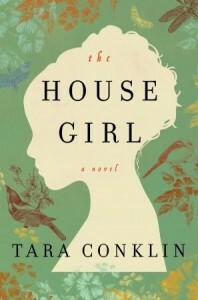 The House Girl by Tara Conklin showcases not only Conklin’s grasp of the Antebellum South, but also art and its craft. The strongest parts of Lina’s story are those in her father’s art studio and in the galleries as the paintings are described and the ties between Josephine Bell and Lu Anne Bell are revealed. Once the novel picks up speed, its tough to put down, and Conklin easily portrays the culture and atmosphere of the southern farm and the fear slaves felt daily. Tara Conklin has worked as a litigator in the New York and London offices of a major corporate law firm but now devotes her time to writing fiction. She received a BA in history from Yale University, a JD from New York University School of Law, and a Master of Law and Diplomacy from the Fletcher School (Tufts University). 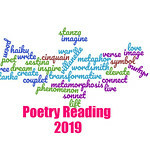 Tara Conklin’s short fiction has appeared in the Bristol Prize Anthology and Pangea: An Anthology of Stories from Around the Globe. 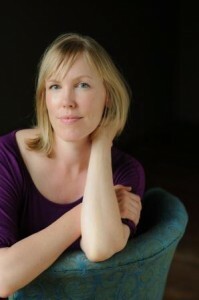 Born in St. Croix, she grew up in Massachusetts and now lives with her family in Seattle, Washington. Check her out on Facebook and Twitter. Also here’s a podcast about Conklin’s inspiration for the novel. Photo credit Mary Grace Long. This is my 10th book for the 2013 New Authors Challenge. Great review! I think I’d probably be drawn to the historical story, too. Sounds like this one has a lot to recommend it, a lot of promise, but just didn’t quite work. I’ve been thinking about this one but perhaps I’ll pass. I just finished this one a few days ago and have mixed feelings. I think you captured a lot of them in your review but much more eloquently! I’m tossing this one around…just might have to read it! Nice review Serena! This is on my wishlist to read. It sounds like a book I’d really enjoy. Glad to hear you liked it. I think that cover is just gorgeous! The slavery reparation is really interesting to me, something that I think if I read this book I would want to research further. Nice review — I actually loved Lina’s storyline as I was fascinated with the premise of a class action lawsuit on reparations for slavery. So interesting! Overall, this novel totally won me over. I liked her story line, but writing about holocaust reparation cases of this nature on a daily basis, there were things in her story line that didn’t sit right. I did like the book. It just didn’t wow me. I think I’d prefer just hearing about Josephine’s story. It’s a good book for sure. I think the stories worked okay together but I agree Lina’s story could have made a whole separate book. I liked Josephine’s story best of the two meshed together, but I think if the stories were separated into two books, I would have liked Lina’s just as well. I’m not sure this is for me but I’m intrigued about the setting of Lynnhurst – I wonder if it’s based on Lyndhurst. I’m not sure, there were not a whole lot of notations in the ARC I received.